A few years back, Rejina Pyo was the label to know— the new kid on the block was like a descendent of Roksanda Ilincic’s colour blocking genius that invigorated London Fashion Week for so many seasons. (Notably, she was Roksanda’s first assistant). Now 2016, both designers have veered off into different directions. 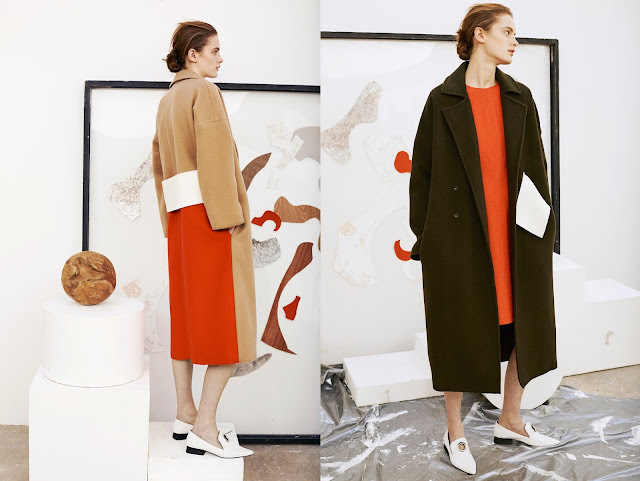 Roksanda is one of the established bunch of London designers that started up 10 years ago and Rejina is still in the emerging stages of her burgeoning business. 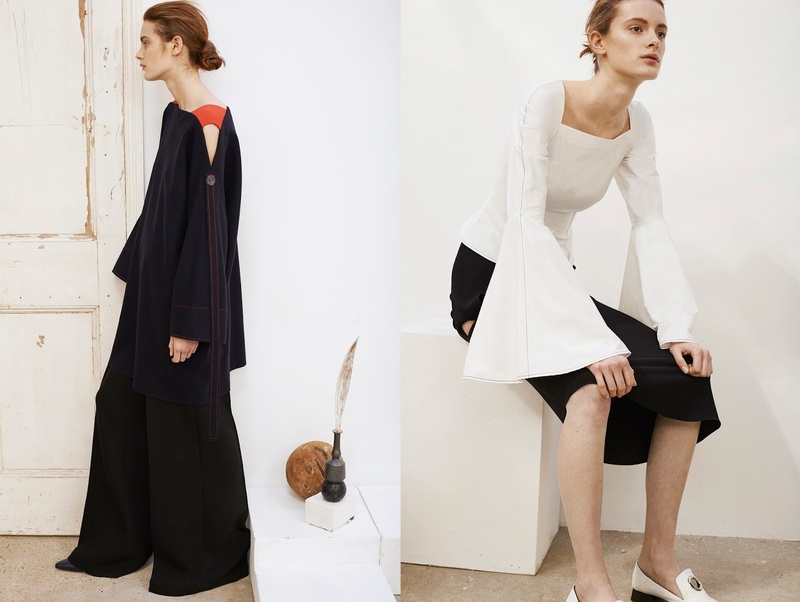 Fall 2016 marks Rejina’s first season on the official London Fashion Week schedule. 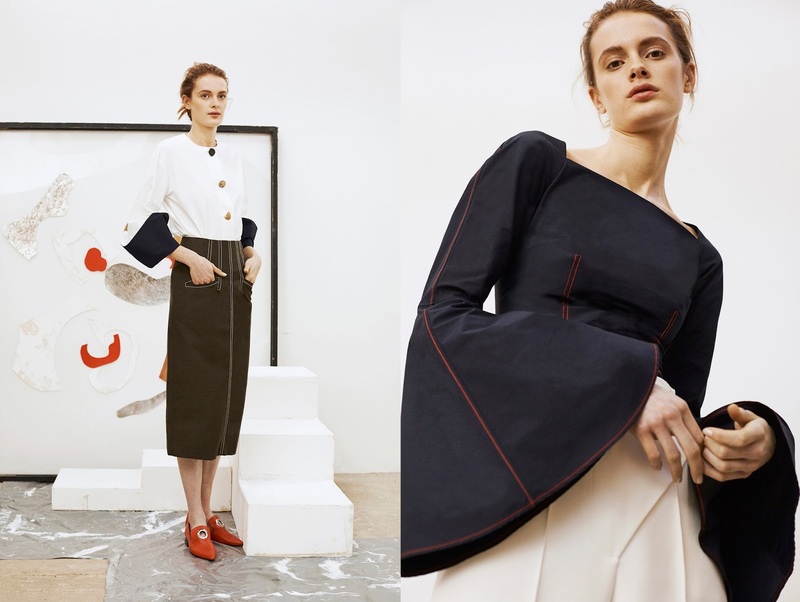 Presenting at the Condé Nast College of Fashion on Tuesday—the final day of the week—her collection was an exercise in structure, form and fit. Those three words have become the more potent part of Rejina’s aesthetic. Her expert colourist ways bookmarked her as a designer to watch but its her use of shape that tantalised audiences nowadays. Play on proportion is not limited the clothing. Collaborating with London-based jewellery label Uribe and Korean-based Yuul Yie on shoes, the collection was enhanced with these new additions. For the jewellery “[she] wanted the shapes to be quite unusual and not associated with any specific time.” Timeless they are: the mid-level luxury pieces come in swirling shapes and feature marble ball details. Telling WWD also that “the hardware we wanted to use for the shoes made it difficult to maintain the comfort. Yuul Yie had the knowledge to guide [her] through the process and ensure that [they] didn’t sacrifice [their] aesthetic.” With an oddly shaped heel, the shoes add another artful touch to the collection. A slew of models revolved sporting different looks. Opening with a strong black overcoat, and a white suit with a bar-esqe jacket and wide-leg trousers, this was a mere taster into the mastery that ensured. 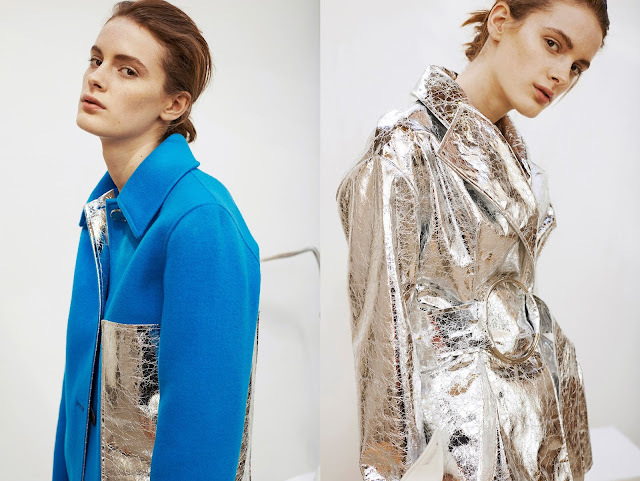 Asymmetric, one shouldered tops with button details, silver foiled biker jackets, wrap skirts, panelled day coats, and abstractly printed dresses. Inspired, as always by abstract art, and the world around us, Rejina’s collection looked—as seen on the brand’s Instagrams—the unnoticed gems in every day life. A silver, nondescript door, framed with a dash of red paint and next to an cobalt blue wall. As aforementioned, she has a keen eye for colour. She transformed this into the colour palette which featured red, silver and a similar shade of blue. The abstract elements in the collection came in the prints and shaping. Morphing everyday, banal pieces into artful works is a talent which Rejina Pyo possesses. 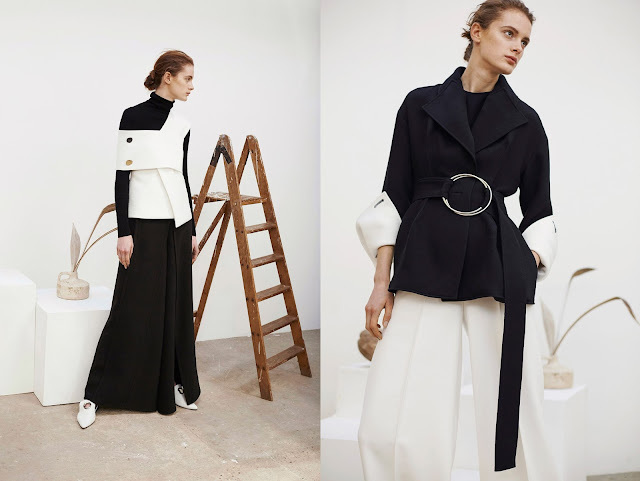 London promotes this anti-banality ethos and Rejina Pyo’s distinction is she creates easy pieces—sweaters, jackets, dresses—that are far superior to the ones elsewhere. 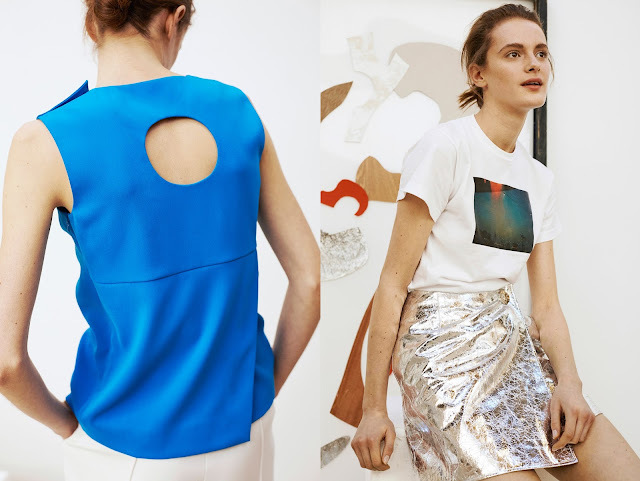 As she’s lesser known by the masses, her designs haven’t reached the radar of mammoth retailers like Zara or Topshop. Savour that while it lasts, because there are big things ahead for this rising star.